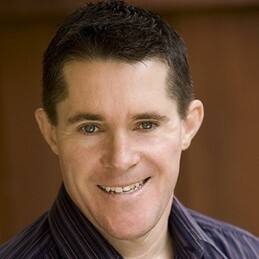 Steve Tighe is Australia’s most compelling speakers on the future and innovation. He is recognised for his thought-provoking observations on today’s society, and his ability to express key insights about the future in an engaging and entertaining fashion. An international speaker on the future, Steve showcases his unique foresight experience by tailoring each of his presentations to the specific needs of his audience. Steve is the former National Foresight Manager at Foster’s, and has worked with some of Australia’s leading companies, looking at the future of their industry and the strategic and innovation options for their business. He collaborates with clients to design new and distinct strategies that position your business for the future. His extensive list of clients includes Holden, Kraft, ClubsNSW, State Library of Victoria, AFL Victoria, Dairy Farmers Milk Co-Operative, Netball Australia, and Knox City Council. – How might our future business environment be different? – What are our strategic options to succeed in these futures? environment to improve your organisation’s strategy and innovation today.